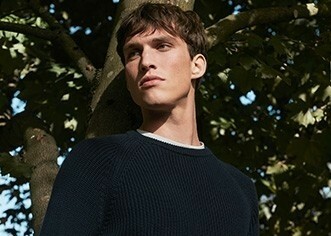 We have perfected our range of merino jumpers this season with an enhanced fit and slimmer ribbed cuffs and hems. This versatile crew neck cardigan is soft and lightweight, crafted from 100% fine merino wool. Pair with our superfine Jersey t-shirt for a modern take on the twin-set.